OK, not everybody is what we call a 'water baby'. 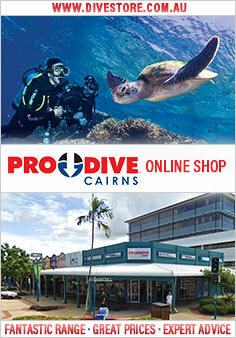 This poses no problem at all, as many of the larger reef operators have a heap of viewing options just for you. You can stay dry and not miss a thing as long as you choose an operator that includes either a glass bottom boat or better still a semi-submersible. This is a vessel where you stay dry and comfortable but yet below the water in the glassed hull of the boat. As the boat negotiates its way around the reef you feel almost like you are in a moving fish tank and the outside marine city just keeps on with it's own activities completely oblivious to your presence. There is also usually a guide to point out many thing that an untrained eye may miss. The trip usually lasts for around 30 minutes and is an extra service on a scheduled reef trip. 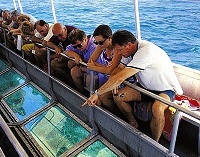 You can not take a glass bottom boat or semi submersible from the mainland since it is part of a full or half day tour to the reef.